Recently, I went for an 8-mile walk. This is not something I do regularly, but I had to retrieve one of my motorcycles from the shop and I didn't have a ride. And, besides, I thought it would be a good excuse to go for a long walk. I wasn't worried about the distance. I have long legs and I can walk fast. Most exercise physiology resources describe "brisk walking" as walking at a pace of 4 miles per hour so I figured I could do it in 2 hours. It was a bit more than I bargained for. The first 3 miles were along a road that had a gravel shoulder. The final 5 miles were along a busy road with a paved shoulder. Instead of 2 hours, it took 3. That means my walking pace averaged only 2.7 mph. Although I did get a blister on my foot (I was wearing tennis shoes not running shoes, and one pair of socks), it wasn't that, nor my fitness level, nor the Arizona heat that hampered me. At about 45 minutes, my hips starting aching. It was most prominent on the sides (lateral) of the hip joints. After another 30 minutes, the ache was felt mostly in the front (anterior) area of the hips, where you insert your hands into the front pockets of your jeans. It lasted the rest of the walk. "Hmmm, this isn't good," I was thinking to myself. "I'm not that old." (I'm 48. Well, OK, I confess, I've been 48 for a couple years now.........). I don't have osteoarthritis, rheumatoid arthritis, stress fractures in my hip joints, or anything like that. I've never had any surgery on my hip joints. So, then, what's wrong? I decided to find out what kinds of exercise are good for joints. Read on to learn how you can exercise properly to maintain healthy and happy joints. Arthritis is the #1 cause of disability in adults. In 2010-2012, 52.5 million adults in the US had some form of arthritis. Osteoarthritis (OA): As of 2015, 30.8 million adults in the US have osteoarthritis. The fundamental change in a joint that develops osteoarthritis is a loss of protective cartilage (Roos EM, et al. 2005). So, age and how much use (and abuse) a particular joint encounters are primary factors. Thus, osteoarthritis is common in the elderly, and in obese people. But it can also occur in athletes when a joint is overused or injured. The lifetime prevalence of osteoarthritis of the hip joint is 25.3% (Murphy LB, et al. 2010) and the lifetime prevalence of osteoarthritis of the knee joint is 44.7% (Murphy L, et al. 2008). These numbers might get worse: by 2030, it's been estimated that 1 in 5 Americans will be age 60 or older (CDC, 2003). Rheumatoid arthritis (RA): As of 2007, 1.5 million adults in the US have RA. It is an immune-mediated disease. It is considered a systemic disease, whereas osteoarthritis is not. Rheumatoid arthritis can occur at any age and it is seen in all races. It has been estimated that 1% of all humans on earth have rheumatoid arthritis (Decker JL, et al. 1984). Women are affected 3 times more often than men, and, the incidence is 6-fold higher in older women than younger women. • In 1997, researchers from Bowman Gray (North Carolina) published results of a study of 439 older adults (ages 60 and up) with knee osteoarthritis. They found that aerobic exercise and resistance exercise were both effective, but, it appeared that results were a little bit better with aerobic exercise. Improvements were seen in knee pain and in performance in a 6-minute walk test (Ettinger WH, et al. 1997). • In a follow-up study of the 439 subjects with knee osteoarthritis mentioned above, 250 who had no history of disability were evaluated. It was found that, after 2 years of active exercise, both aerobic exercise and resistance exercise were beneficial in minimizing the onset of disability (ie., activities of daily living) (Penninx BW, et al. 2001). • Subsequently, in 2005, investigators from the UK reviewed research on exercise for knee osteoarthritis published between 1966 and 2003. They found that both "aerobic walking" and "quadriceps strengthening" exercise reduced pain and improved disability (in patients with OA of the knee joint) (Roddy E, et al. 2005). Thus, it appears that a variety of types of exercise are beneficial for knee osteoarthritis. The literature review from the UK researchers (Roddy E, et al. 2005) summarized above also answers the question: "is walking beneficial for people with osteoarthritis of the knee?" They showed that walking can be beneficial. Walking reduces symptoms and slows the decline in mobility over time in patients with knee osteoarthritis, even though it may not lead to detectable improvements in knee cartilage (see below) (Racunica TL, et al. 2007). As mentioned, much less research exists regarding the benefit of exercise for hip osteoarthritis. 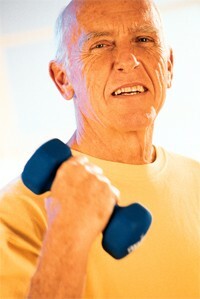 "...exercise appears to be beneficial for osteoarthritis of any kind." On September 20, 2013, investigators from the UK published an extensive review of research of the effectiveness of exercise for osteoarthritis (ie., both types: knee and hip). Sixty research studies published between 1989 and 2012 were evaluated (Uthman OA, et al. 2013). One important detail needs to be kept in mind when evaluating research on osteoarthritis: there is a poor relationship between knee pain and detectable knee damage. In both men and women, knee pain commonly occurs without any evidence (ie., X-ray) of damage to the joint (Hadler NM. 1992). And, in one study evaluating the effectiveness of exercise (both aerobic and resistance) for knee osteoarthritis, knee pain and mobility improved in the exercise group, even though there was no improvement in X-ray scores (Ettinger WH, et al. 1997). As recently as 1984, exercise wasn't even part of the discussion regarding the medical care of patients with rheumatoid arthritis (Decker JL, et al. 1984). Since then, numerous studies documenting the effectiveness of exercise for patients with RA have been published (many of them from Leiden University Medical Center in The Netherlands). First, the level of physical activity in people with RA appears to be lower than in the general population (Tierney M, et al. 2012). Patients with RA often have muscle-wasting. Thus, these people should be encouraged to exercise more to gain the health-promoting effects of regular exercise. Resistance Exercise For RA: Beneficial or Detrimental? • Effects on Small Joints (eg., hands and feet): In 2004, researchers from Leiden University in The Netherlands reported results of a 2-yr study that compared a "high-intensity weight-bearing" exercise program to "usual care" (ie., physical therapy). One hundred thirty-six patients participated in the exercise program, and 147 received usual care. After 2 years, subjects in the exercise program did not have any increase in joint damage in their hands and feet. They also used lesser amounts of glucocorticoids (eg., prednisone) (de Jong Z, et al. 2004). • Effects on Large Joints (eg., hips and knees): In 2005, these same researchers published a follow-up study similar to the one above. They analyzed the effects of high-intensity weight-bearing exercise on large joints. They found that, in patients with no existing joint damage at the beginning of the study, weight-bearing exercise did not increase the rate of damage in large joints. However, in subjects who did have existing damage in these joints at the beginning of the study, the exercise program did accelerate the progression of joint damage (Munneke M, et al. 2005). They cautioned that patients with significant damage to "large" joints (eg., hips, knees) should avoid high-intensity weight-bearing exercises. Examples here include leg-press, squats with weights, lunges with weights, etc. "...exercise clearly improves muscle function [in patients with RA even if it does not] affect disease activity." "...there is no evidence that exercise, even high-intensity exercise, increases inflammation or joint damage, although care should be taken with patients with severe baseline damage." • Exercise Rx: In summary, today, exercise is recommended for patients with rheumatoid arthritis, though people with severe joint damage should probably avoid resistance exercises such as weight-bearing exercises (eg., squats, lunges, push-ups, etc. ), and attempting to lift too much weight with free weights and weight-stack machines. A preferable form of resistance exercise is aquatic exercise. One training strategy to consider in people with acute joint inflammation is to perform isometric-type resistance exercises for a week or so prior to initiating traditional (isotonic)-type resistance exercises. Isometric contractions should be held for up to 6 seconds, with 20 seconds of rest in between. Initially, perform only 1 contraction with each muscle group. Progress up to 8-10 repetitions. Perform contractions at different joint angles (Barnes JT, et al. 2002). Rheumatoid arthritis is a life-long disease. Can a regular exercise program reduce medical costs for this condition? Some of this research is contradictory: For example, one study showed that exercise can lower medical costs in patients with various types of rheumatic diseases (Bulthius Y, et al. 2008) whereas another study claimed that a regular exercise program is not cost-effective (van den Hout WB, et al. 2005). The difference between these 2 studies may lie in the fact that the first one utilized an exercise program that only lasted for 3 weeks, whereas the 2nd study was a year-long program. Often patients with arthritis take multiple drugs daily, most of which have substantial side effects. People with rheumatoid arthritis generally have more severe disease compared to people with OA. Thus, not only do people with RA require more intensive drug therapy (ie., multiple drugs concurrently), but, also, some of the newer disease-modifying drugs are very expensive and have more serious side effects. An analysis of data from 2003 by the CDC revealed that the average person with arthritis (various causes were included) spends an average of $338/year on prescription drugs (JAMA April 18, 2007). Those stats are now fairly old. During the past several years, many biotech drugs have been approved. Typically, these drugs are extremely expensive: Xeljanz® (tofacitinib by Pfizer) and Humira® (adalimumab by AbbVie) have been approved for treating specific types of arthritis. According to the web site GoodRx.com (accessed February 23, 2018), a one-month supply of Xeljanz® tablets costs roughly $4100. That's nearly $50,000 per year. A one-month supply (2 injector pens) of Humira® costs roughly $5000. That's $60,000 per year! So, can regular exercise reduce the costs associated with drug therapy? Unfortunately, there isn't much research showing that exercising regularly can reduce the costs of drug therapy. This needs to be explored better. group Kovar PA, et al. group de Jong A, et al. Though specific dollar amounts were not provided in the studies summarized in the table above, the study from Leiden University (de Jong Z, et al. 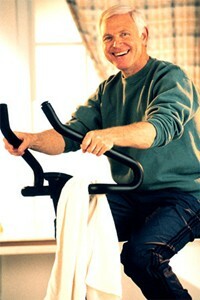 2004) showed that RA patients who exercised used lesser amounts of glucocorticoids (prednisone). While these drugs are not expensive, they most certainly have serious side effects when taken for long periods of time. EXERCISE vs. DRUG THERAPY FOR ARTHRITIS: WHICH IS MORE EFFECTIVE? Various types of exercise appear to be beneficial for people with either OA or RA. But, is exercise more effective than drug therapy? • NSAIDs, COX-2 inhibitors: Antiinflammatory drugs known as NSAIDs (ex: ibuprofen, naproxen) and COX-2 inhibitors (ex: Celebrex®) are commonly used by people with osteoarthritis. However, one report states that these drugs are not very effective when used long-term (Bjordal JM, et al. 2004). • Glucosamine, chondroitin: In 2006, it was estimated that at least 1 million people were taking the dietary supplements glucosamine and chondroitin (JAMA January 24, 2007). However, as with NSAIDs and COX-2 inhibitors, these supplements are also of marginal effectiveness. In one widely-cited study, published in the New England Journal of Medicine, it was found that glucosamine and chondroitin, either alone, or in combination, were no better than placebo (Clegg DO, et al. 2006). David T. Felson, MD, at Boston University, has written extensively about the shortcomings of these supplements for joint health. In one review, he and colleagues concluded that the only research documenting that they work was sponsored by manufacturers of these supplements, and, thus, is less credible. He stated flatly: "glucosamine hydrochloride is not effective." (Vlad SC, et al. 2007). Thus, drugs and dietary supplements commonly used for osteoarthritis have questionable efficacy. Conversely, the research on the benefits of exercise seem much more positive. IS EXERCISE GOOD FOR JOINT HEALTH IN PEOPLE WHO DON'T HAVE O.A. or R.A.? Let's say that you don't currently have either osteoarthritis or rheumatoid arthritis and don't have any symptoms such as knee pain. Can regular exercise maintain healthy joints and reduce the chances that you will develop osteoarthritis in old age? And, if so, which type is best? Even if OA doesn't develop, many people complain of knee pain even though X-rays show no pathology (Davis MA, et al. 1992). Research shows that tendons are tremendous "shock absorbers" for muscles (Roberts TJ, et al. 2013). In one study, the landing forces in the foot of a turkey were evaluated. It was found that the forces were stored almost entirely in the tendon before being transmitted into the leg muscle. This only occurred after the ankle joint had flexed (bent) and the leg muscle had lengthened (Konow N, et al. 2012). Thus, tendons appear to protect muscles from too much abrupt shock. Tendons represent one type of connective tissue (the others are cartilage and ligaments). But, if tendons take the initial hit, doesn't this mean that abrupt movements like jumping would increase the risk of injury to connective tissues and, thus, increase the chances for developing arthritis in that joint? For example, in the skin, a blister, though painful, is simply the first stage of forming a protective callus. In muscles, size and strength improve when forced to lift heavier loads. And in the vascular system, blood flow improves when aerobic exercise is performed regularly and at higher intensities. In each case, the body is trying to adapt to a new and repetitive challenge. Think of the cartilage cushion inside your knees like a sponge. When this cartilage cushion is compressed repeatedly, it responds by ramping-up the synthesis of molecules called "glycosaminoglycans" (GAG's). These molecules give cartilage its spongy yet tough resilience. • Vigorous Aerobic Exercise Increases Cartilage Volume: An Australian evaluation of 297 older adults (average age 58 yrs) over a period of 10 years revealed that those who engaged in vigorous aerobic exercise (tennis, netball, running) demonstrated greater cartilage "volume" in the knee joint (Racunica TL, et al. 2007). A larger amount of cartilage in a joint suggests better cushioning. Walking did not enhance cartilage volume in the knee as much as vigorous exercise did. Thus, this study contradicts the assumption that many years of vigorous exercise can "wear down" the cartilage in the knee. However, one detail in this study concerned me: People who chose swimming as their form of aerobic exercise were included. Swimming is a non-weight-bearing exercise. It would be helpful to know if there are any differences between weight-bearing exercises (running, tennis, basketball, etc.) vs. non-weight-bearing exercises such as swimming. • Moderate Resistance Exercise Improves Cartilage Composition: The benefits of resistance exercise on knee cartilage were studied in middle-aged (35-50 yrs) subjects without known OA or RA, who underwent surgery of their knee meniscus. After surgery, half were randomized to a resistance exercise program as follows: squats, lunges, and platform step-exercises 1-hr per day, 3 days per week for 4 months. After 4 months, subjects who exercised demonstrated an increase in the amount of glycosaminoglycan in their knee cartilage (Roos EM, et al. 2005). Since glycosaminoglycan is believed to contribute to the cushioning properties of cartilage, this change is assumed to be a beneficial one. But when a joint is injured, a double-whammy occurs. First, there is the structural damage to the tissues...ie., a torn ACL, for example. And, when a joint is immobilized in a cast for weeks to months, detrimental changes occur simply due to the lack of activity. Because the cartilage cushion is no longer being compressed repeatedly, it doesn't receive the stimulus to synthesize more GAG's. In fact, what happens when a joint is immobilized is the exact opposite: the cartilage cushion actually loses some of its protective properties. Then, when the cast is finally removed and the athlete begins exercising again, the injured joint is particularly vulnerable to re-injury....ie., no differently than stressing a broken bone too much before it has fully healed. What to do? For people who do sustain a knee injury, it is critically important to progress through rehab in a very careful, gradual, and methodical manner...ie., don't try to do too much too soon. EXERCISE TO REDUCE KNEE PAIN IN PEOPLE WHO DO NOT HAVE O.A. OR R.A.
What if a person has knee pain but no evidence of osteoarthritis or rheumatoid arthritis? What types of exercise have been shown to minimize joint pain in these people? • In their first study, they had subjects perform isometric and isotonic exercises of the quadriceps and hamstring muscles, and, a bench-step exercise. Each exercise was performed 20 times on each leg, and, daily for 6 months. A substantial improvement in both pain and function was observed (O'Reilly SC, et al. 1999). • In their 2nd study, 600 older adults (again, no prior evidence of either OA or RA) showed improvement in knee pain after 6 months of performing a variety of resistance exercises with the legs using stretch bands (Thomas KS, et al. 2002). This research suggests that different types of resistance exercise are beneficial. • Weight Loss: Regular exercise can help with weight loss. Weight loss, in turn, takes some stress off of the weight-bearing joints (hips, knees). • Enhanced Muscle Strength and Bone Density: Patients with RA often have muscle wasting. Resistance exercise is important to build muscle. Bone density can be enhanced as well. DOES TOO MUCH EXERCISE CAUSE JOINT PROBLEMS? This is a common question. The answer is: "it depends." The key detail here is how much is "too" much? One study of 1,279 older adults revealed that walking, jogging, or high activity levels over a period of nearly 9 years was not associated with any increased risk of developing osteoarthritis in the knee joint (Felson DT, et al. 2007). Some believe that people who are regular runners are just setting themselves up for more joint pain in their later years of life. However, the research suggests that this isn't so. Whether or not regular distance running is harmful to your knees probably depends on 2 factors: how many miles you log each week, and, your running style (form). Stanford University researcher James Fries, MD, along with others, has published no fewer than 7 studies of older distance runners. Some of the data were collected from members of a San Francisco-based running club known as "Fifty Plus", founded by medical faculty at Stanford University. While they report in 2 of these studies that "female runners had more bone spurs in their knees" (Lane NE, et al. 1986) (Lane NE, et al. 1990), the majority of this research shows that long-term distance runners actually have less, not more, knee pain and/or osteoarthritis in their later decades of life (Lane NE, et al. 1993) (Fries JF, et al. 1996) (Lane NE, et al. 1998) (Bruce B, et al. 2005) (Chakravarty EF, et al. 2008). So even though osteoarthritis increased in both groups, it increased less in the runners. Regarding running style (form), many runners make contact first with their heel on each foot strike. And some may exaggerate this by running with a very long stride. There is another running technique called the "Pose" method which is characterized by running while leaning forward, utilizing shorter stride lengths and a more rapid cadence. This allows each foot to strike the ground on the ball of the foot, and, more closely under the runner's center of gravity. This running style was developed by Nicholas Romanov, PhD, in 1977 when he was a university professor in the former Soviet Union (he now lives in Miami). One study revealed that there was less force transmitted into the knee joint with the "Pose" method compared to traditional heel-toe running style (Arendse RE, et al. 2004). Thus, this suggests that the Pose running style might be associated with less knee damage. A nice article summarizing the Pose running technic appeared in the October 2004 issue of Runner's World magazine. More information about the Pose running style can be found in: Running: Training Tips for Beginners. Unfortunately, some elite athletes can suffer an increased rate of joint problems when they get older. A study published in March 2012 showed that elite athletes have a higher rate of osteoarthritis in both the hip and in the knee. This was mostly seen in athletes competing in "impact" sports as opposed to "non-impact" sports (Tveit M, et al. 2012). But, in the study above, osteoarthritis of the knee was also related to if the athlete had suffered a knee injury in the past (Tveit M, et al. 2012). So, in summary: just as it is possible to injure skeletal muscles by exercising too much (eg., exertional rhabdomyolysis), too much exercise can have detrimental effects on your joints as well. This appears to be more common in athletes involved in jumping sports. But joint problems due to "overuse" can also occur in other sports, for example, the shoulder joint in baseball pitchers or tennis players. And, the chances of developing osteoarthritis in a joint is definitely related to if that joint has been injured in the past. Walter Payton was a running back for the Chicago Bears from 1976 to 1987. He was the NFL's all-time leader in rushing yards and all-purpose yards until 2002 when Emmitt Smith broke his record. In his career, Payton rushed for 17,358 yards. That's the equivalent of running 9.9 miles, but getting knocked down every 4.3 yards! That's a lot of abuse. But, just as remarkable, I feel, is how durable Payton was. He seemed to never get injured. Keep in mind that he was only 5'10" and weighed 200 lbs. Despite his size, Payton was known for his strength. He could bench-press as much as some of the linemen. But, one training technic may explain his lack of injury: he routinely sprinted up a steep hill. This is as much of a strength exercise as it is an aerobic exercise. Although I am not aware if Payton ever developed osteoarthritis, it does seem that his dedication to strength exercise may have helped prevent joint problems in his career. Q: "OK, I'm still confused: is running bad for my knees? is walking good for my knees?" ANSWER: In general, for most people, the benefits of running or walking outweigh any negative aspects on the knee. In patients with osteoarthritis in their knees, research shows that walking relieves symptoms (pain) even though scientists have not documented any anatomical changes. However, if you have substantial pain in a joint that has sustained an injury, or, if you have severe rheumatoid arthritis, then, running could produce more pain. In this case, walking, or forms of exercise that do not involve weight-bearing (aquatic exercise, cycling) might be better choices. While aquatic exercise seems to be the best choice, many people don't belong to a gym and, thus, walking is much more convenient. • Exercise! For patients with osteoarthritis, all 4 types of exercise -- eg., aerobic, strength, aquatic, flexibility -- have been shown to be beneficial. Exercise is also beneficial for patients with rheumatoid arthritis, though, vigorous exercise should be minimized in those with severe disease. And, in people who do not have either OA or RA, but, suffer from "stiff" or painful joints, regular exercise is also beneficial. So, get out there and do something! • Aquatic exercise is ideal: Exercising in a pool will take the weight-bearing aspect off of your knees and hips, while still providing resistance for your muscles and joints. If you don't have access to a pool, then walking and isometric exercises are beneficial. • Resistance exercise is OK: People with rheumatoid arthritis often have muscle wasting. Thus, resistance exercise is important. However, heavy resistance exercise should not be done by people with substantial existing joint damage. • Running is OK: Running is not bad for your knees. However, if running causes knee pain, then, walk or ride a bike. If these exercises cause knee pain, then consider doing water exercises. • Lose weight: If you are substantially overweight, simply losing weight may help to alleviate pain in the knees and hips. The American College of Sports Medicine publishes the Complete Guide to Fitness & Health. 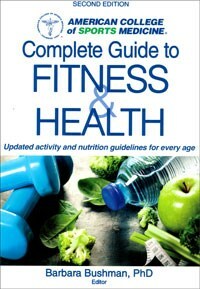 This book contains a short chapter on exercise and arthritis.